The number 1 way to improve search engine rankings is to create descriptive H1 headings on web pages. The H1 heading is like the headline on a newspaper, it tells what the webpage is all about and is very important to include in your SEO arsenal. Search engines notice H1 headings in the source code of a webpage and therefore the H1 heading is the most important ‘headline’ on the page. The H1 heading is like the headline of a newspaper or magazine article – it helps readers quickly understand what the web page is about. 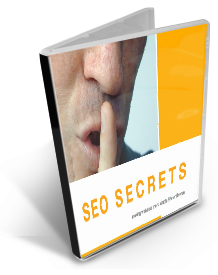 So how can H1 headings help to improve search engine rankings? The H1 headings are defined with HTML code, and search engines understand the importance of the H1 heading as the main heading on the page. The descriptive nature of the heading then tells what the page is about. The H1 heading should contain the keyword that you want the searcher to find when they search for your page, this helps getting the page listed for the search term. Do my website’s pages have H1 headings? You can find out by looking at the HTML source code for every page on your site. When you’re viewing the page, look for this option in your web browser. For example, in Firefox, you would click “View” at the top of the page, and then “Page Source.” You’ll see a page of code, and you can search for <h1> tags. How can I add or change my H1 headings? You can also look for an existing H1 heading, and change the text between the tags. Some website editors don’t allow you to add an H1 heading or edit the HTML code for web pages. If this is the case, you won’t be able to add an H1 heading. But you can emphasise a piece of text to make it look like a heading by making the font bigger or by making it bold. This will help your visitors, and it will be a signal to search engines that this text is important, much like an H1 heading.